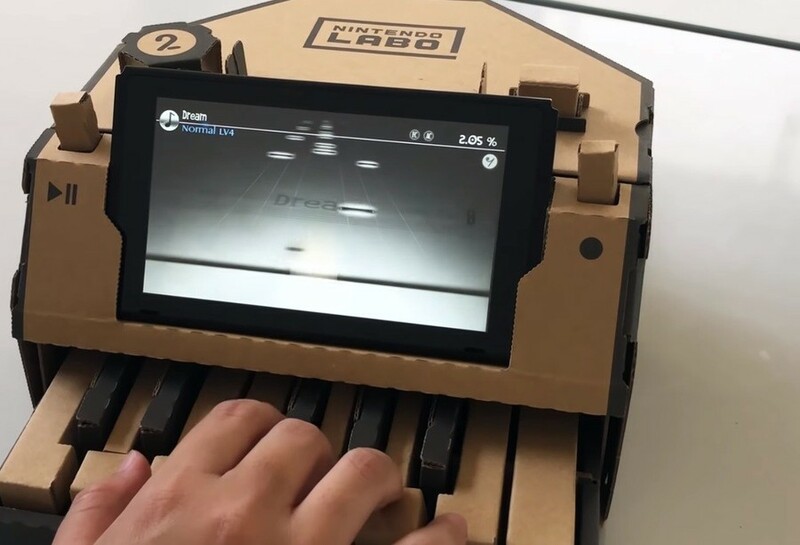 Back in April, Taiwanese developer Rayark posted a video showing its rhythm-action game Deemo in use with the Nintendo Labo cardboard piano. The concept was to use the piano Toy-Con's keys rather than simply pressing the touchscreen - emulating an experience similar to the likes of Guitar Hero/Rock Band. Following the Mario Kart Labo news from earlier, Nintendo's Japanese Labo website has revealed Deemo will, in fact, soon be compatible with the cardboard kits. As displayed by Rayark months earlier, you'll be able to play songs from the game on the Toy-Con piano, with the update expected to arrive in October. This surprisingly makes Deemo the first third-party game to officially support Nintendo Labo. These recent developments are interesting signs of perhaps what's to come with the Labo experiment. Earlier this year, Nintendo of America president Reggie Fils-Aimé said there were long-term plans to develop the new idea. 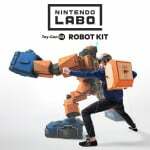 By the looks of it, Nintendo intends to expand Labo's reach beyond the kits and make the cardboard accessories compatible in multiple games. What do you think about Nintendo Labo branching out? 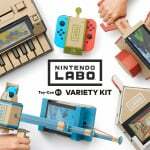 Do you like the idea of Vehicle Kit being compatible with Mario Kart, or playing third-party music games with Labo instruments? Do you think Labo is here for the long haul, like Reggie? Tell us below. I'll definitely try it out. I haven't been able to use Labo much since it came out so close to summer and I've been with my family so the kit is in my apartment hundreds of kilometers away. @RichardZ : I'll challenge you with my Pokéball Plus. The keyboard sounds very clicky in the video. Nice idea though. @Rafke @Silly_G @RichardZ Please, I’ll take you all down with my Wii Wheel. This is awesome. I’d love to see more games implement Labo. I’d love to try ARMS with the Robot or a platformer with the House. @MH4 Play the game with the Mega Drive/Genesis' volume slider if you want to beat me. I'll be playing with the Dreamcast VMU... YOU LOSE! @Rafke I see your challenge, with a Nintendo Zapper. But I do like this news blurb! @HobbitGamer @Rafke I’ll raise all of you by the eject button on the SNES. I'll use the Wii wrist strap to play. My main will be Simon Belmont. @MH4 Keep talking like that and I'll be forced to use my Kinect on you! I would love to see third parties embracing Labo where it fits, and this is such a natural fit. This reminds me I need to get Deemo, I played the demo and loved it but it got lost in the shuffle somewhere. @ReaderRagfish I think you win. @Rafke Not if I whip out my Echo Dot first! @MH4 Time to whip out my Google Home! Yes! Part of why I even bought the variety pack was to play Deemo on the piano (I honestly thought Deemo was supported at launch). Glad it’s finally happening. @Rafke My Leapster begs to differ. Checkmate! @MH4 @Rafke None of you stand a chance against my DK Bongos. I can play pretty well with my N64 transfer pak. @ReaderRagfish @NovaCam Oh please! The 3D Depth Slider on my new Nintendo 3DS XL will obliterate everyone. I don't own Labo but I'm totally getting it just for this. I love Deemo. "The concept was to use the piano Toy-Con's keys rather than simply pressing the touchscreen - emulating an experience similar to the likes of Guitar Hero/Rock Band." Or Nostalgia. Or even Keyboardmania. Or any of the actual piano-controlled music games. Guys, we all know the steel battalion controller is the only true way to play smash. That's awesome! I've been wanting to play a piano game forever. I just hope it's a bit easier than what the video showed. And, I hope everybody else gets in on this. Like Frederic 1 & 2, which I hadn't played but, look perfect for a piano, and there's a few fishing games that could use the rod, and a bunch of racing games besides Mario Kart 8 that could benefit from having a steering wheel & gas pedal set up. @MH4 Then I challenge you to a stylus jousting duel. I'll finish you all with my Gameboy Color link cable! And once I'm through with you, I'll stuff your soul into Gameboy cartridge holders! @AxeltheBuizel @NovaCam @ReaderRagfish Y’all have activated my trap card: I’ll win using the GameCube controller adapter! @MH4 I'll do you one better by winning Evo with my Lego Dimensions portal! @AxeltheBuizel The only way you’d win EVO with a Dimensions portal is if you played as Bayonetta! Now, if you used a PSVR combined with the raw power of a Kindle Fire, you’d be unstoppable!! @MH4 modded track and field mat and power glove is the only real way to play with power. @Roam85 Oh please! My DDR mat and my N64 controller port will mop the floor with you. ''Alexa, finish them all with Pichu''. @Zscout1288 @MH4 Do I have to pull out my Satellaview for you mortals? My Pokémon Diamond and Pearl Special Edition Nintendo DS Lite’s cartridge slot will absolutely destroy everyone. And for those who survive? I’ll take you out with the limited edition Pokémon Mystery Dungeon anime DVD that comes with it! @MH4 Don't test me, or I'll bust out my PS1 copy of Barbie Super Sports to annihilate you! @Rafke I’m pretty sure it’s you who shouldn’t be testing me because I own a copy of Larryboy and the Bad Apple for PS2! @MH4 You leave me with no choice, time for my final smash: Cory in The House for Nintendo DS! @Rafke Oh my GOSH! I barely avoided the attack! Time for my Final Smash: A flood of E.T. for Atari 2600!! This is so sad, can we copystrike Marvel and Gamevice? @Rafke Nooooo..... Not my only weakness!